R.A.G.E. has only been in existence since November 2010, but as you know we have been extremely busy this year!! We are proud to share with you many of the successes and accomplishments we had in 2011! 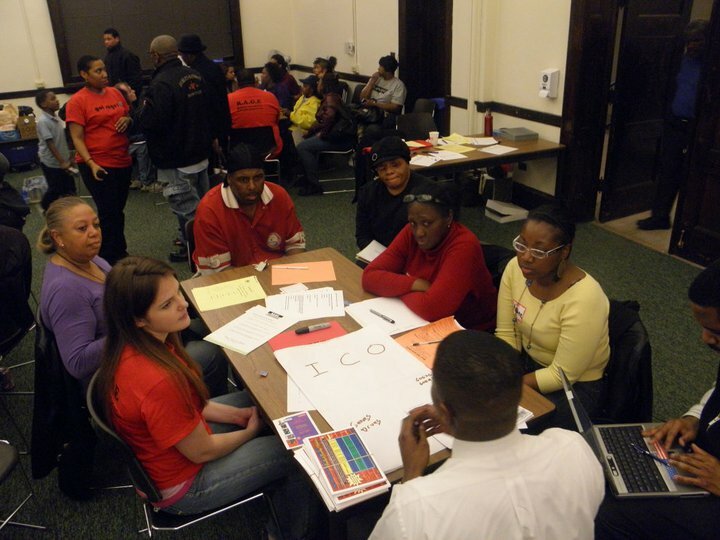 Successfully mobilized over 30 residents from all six wards of Greater Englewood to work together towards a common goal of changing the perception of the neighborhood for residents and non-residents using a community asset based approach. Hosted three aldermanic candidate forums for the six wards in the election (Wards 3, 6, 15, 16, 17, and 20) in Englewood. The forums were created to give residents the opportunity to learn more about the candidates and to shed light on the fact that Englewood has six wards and no ward office in the neighborhood. Over 400 residents and guests were in attendance at the various forums. R.A.G.E. openly voice concerns about the redistricting process and submitted testimonies on both the state and ward level regarding the remap. R.A.G.E. 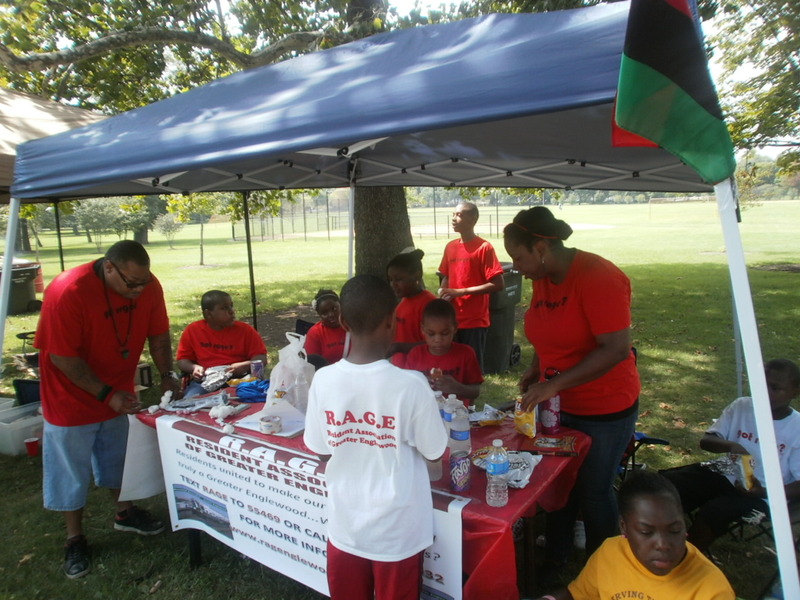 has hosted several “Takin it to the Streets” events utilizing the vacant land in the community as a peaceful space for fellowship and as another opportunity to give back to the residents. R.A.G.E hosted “Real Talk with R.A.G.E.” a solution based forum with experts that help create the various work groups within the association focused on redistricting, economic development, education, safety and housing. R.A.G.E. circulated an online and printed petition to keep the Englewood post offices open. R.A.G.E. hosted various social events creating spaces for networking and fellowship for key stakeholders of Greater Englewood. R.A.G.E hosted and created several youth programs (Media-N-Motion and Docs & Dialogue) that were designed to get students to think critically about how their community is portrayed in the media, and give them a platform to be heard and share the stories that are important to them. These community driven programs have been well received and serves as a platform to provide learning alternatives for Englewood youth. Published two newsletters and offer the program during the summer and fall at Yale Elementary. Participated in the 51 Annual Englewood Back-To-School Parade and distributed over 100 school supplies to Englewood students. R.A.G.E. partnered with Wentworth Elementary and participated in the 100 Positive Black Men Program, hosted a Docs & Dialogue session and a Town Hall Forum for the 6th, 7th , and 8th Graders. R.A.G.E. members serve in leadership roles for the Englewood Community Action an initiative with the Family & Community Engagement Team of CPS and recently completed a comprehensive strategic educational plan for all schools in the Greater Englewood community. Participated with African American Male Initiative Program of Teamwork Englewood and Alder School of Psychology and gained an 8th grader who serves as an active RAGE intern. Partnered with Lindbolm High School to assist class with “Issues to Action” curriculum. Partnered with Black Wall Street summer youth program and identified 10 youth from Englewood who were able to gain employment. R.A.G.E. hosted TIF Update meeting where all six aldermen were invited to provide updates and pertinent information about the existing and future TIFs in Greater Englewood. R.A.G.E. was the only Englewood based organization to proposed recommendations to Rahm Emanuel’s TIF Taskforce on behalf of Greater Englewood. R.A.G.E. partnered with the Greater Englewood Urban Agriculture Task force to strategize about food businesses and urban farming opportunities in Englewood. R.A.G.E. members served on Englewood Neighborhood Recovery Initiative a state funded program that created over 200 jobs for youth and adults in the Englewood Neighborhood. Serve in leadership role for the Englewood Railway Coalition and provides technical support for the residents being displaced by the Norfolk Freight Yard Expansion Project. Serve on the board of the Kusanya Café (Resident owned business) set to open Englewood in 2012. Stay tuned for even GREATER things from R.A.G.E in 2012!! !